No way is it Friday! Don't get me wrong, I'm happy for the weekend, but I can't believe it's already here! We will be hanging out at home and making our very first turkey for our church Thanksgiving celebration on Sunday. Wish us luck! Hitting the road to Indiana meant that we got to stop at some of our favorite places that we don't have in our small town! On the list. . . Target, Panera, Starbucks. Have you seen Target's Christmas section yet? I couldn't even begin to choose what to put on my wishlist since everything is so gorgeous! 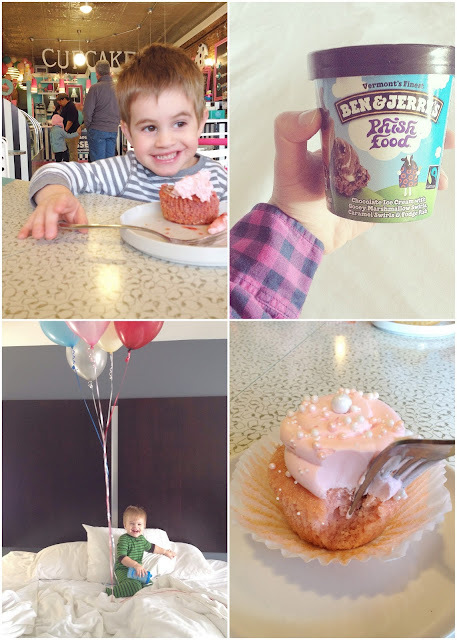 And once in Indiana, we got to visit our favorite cupcake store, Designer Desserts! I wrote all about that in Wednesday's post. I tried Pink Champagne and Key Lime Pie, and they were both winners! Yesterday, I shared two of our favorite food-related Thanksgiving traditions. 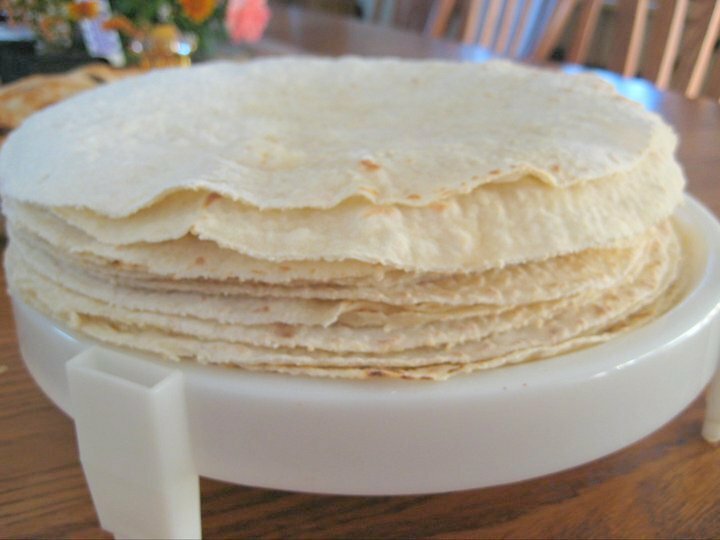 One is making Norwegian lefse with my dad's side of the family on the day after Thanksgiving, using leftover mashed potatoes. The other is a recipe for the best blackberry pie! My husband and his brothers go crazy over this pie, made by my mother-in-law, Alice. It's the most delicious fruit pie I've ever had. Speaking of Norwegians, I caught an article this week. It's called, "The Norwegian Secret to Enjoying a Long Winter." (If this photo was my everyday view, I think I'd enjoy it too!) There are so many good points in this article. I love that Norwegians have a word, koselig, that means "a sense of coziness". They light candles and fires, sip hot drinks, and curl up under blankets. They spend time outside--skiing and admiring the beauty of the season. 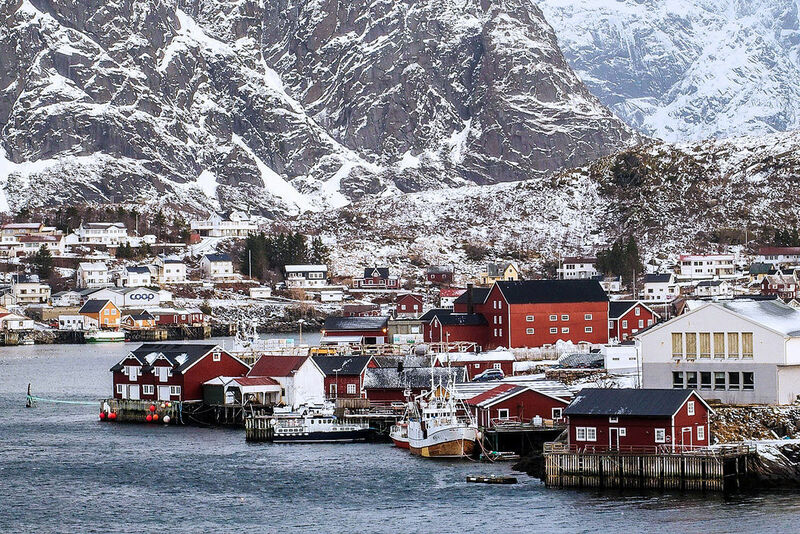 And Norwegians have close-knit communities with many social events to keep them busy. They say that it's a mindset change from enduring winter, to enjoying it. I for sure want to make this mindset change. . . we are definitely starting to get the chilly and gray weather! I'm really excited to share MercyMe's new It's Christmas CD! I was able to listen to it this week, and it's fantastic! I haven't listened to any Christmas music yet this year, but this is making me want to decorate the Christmas tree and bake some sugar cookies! The song, Newborn is a GORGEOUS upbeat mix of "Away in a Manger" and "Hark the Herald Angels Sing"
Some of their songs, like A Holly Jolly Christmas are in a blues style-- very jazzy. I loved their version of Joy (Joy to the World). There are so many good classics! 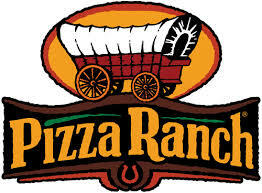 Lead singer of MercyMe, Bart Millard, says, "Pizza Ranch is a fantastic restaurant with a great mission to glorify God. It's the perfect gift to give this Christmas season, and the perfect CD to get you in the Christmas spirit." Take a listen to their audio tracks that they just added to YouTube a couple of days ago! Enter the Rafflecopter below for a chance to win a free copy of the album! Love love love Mercy Me. I Can Only Imagine is my favorite song!! And I read that article and totally agree. It's all your perspective on it. Summer is my favorite but if I see the beauty and get cozy its all good :). Have a nice weekend!! We actually got to see Mercy Me this summer! My husband does all the restaurant design and layouts for Pizza Ranch (although he doesn't work for them) so we get to go to their summer meetings. mercy Me did a private concert and it was AMAZING!!! And can I come with you next time you go to Indiana? I want to hit that cupcake shop! I also feel a trip to Target and Panera coming on now! I have two Target stores near me and neither of them have a Christmas display as beautiful as yours! And I am totally going to share that article with my in-law and my husband. They complain about the winter every year and it breaks my winter-loving heart! Have a great weekend! How fun to still have your grandpa around to celebrate! I have not ventured into the Target Christmas section yet...eek...that looks so fun. And cupcakes...oh goodness they look amazing. Good luck with the turkey and have fun celebrating with your church friends.